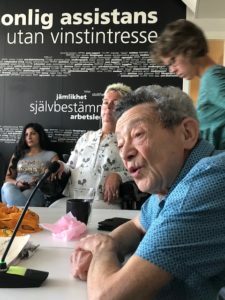 In late May 2018, Swedish disability rights leader Adolf Ratzka invited Sid Wolinsky and Pat Kirkpatrick to participate in a forum entitled “Using Law as a Tool for Social Change.” We were specifically asked to present because of Disability Rights Advocates’ successful advocacy and high impact cases using strategic litigation for social change. The goal was to exchange ideas on how to ensure that current disability laws in the Nordic countries and beyond fulfill their promises. Disability rights leaders from Sweden, Norway, Finland, Iceland, Greenland, Ireland, Estonia, Bulgaria, Palestine, and the United States described how a “rights based approach” was working in each of their countries. Although some of the news was discouraging, the stories of occasional victories gave hope that the rights of people with disabilities are growing, albeit incrementally. For instance, the Palestinian leader of the NGO Almanarah (Lighthouse) in Nazareth, Abbass, told us about a woman who lost both arms and wanted to drive a car. While Israel offers a subsidy and accessible car for lower body amputees, it does not offer the same for upper body amputees. Abbass’ organization worked with the clinic of Human Rights in Haifa and ultimately won the right for this woman to receive an accessible car. 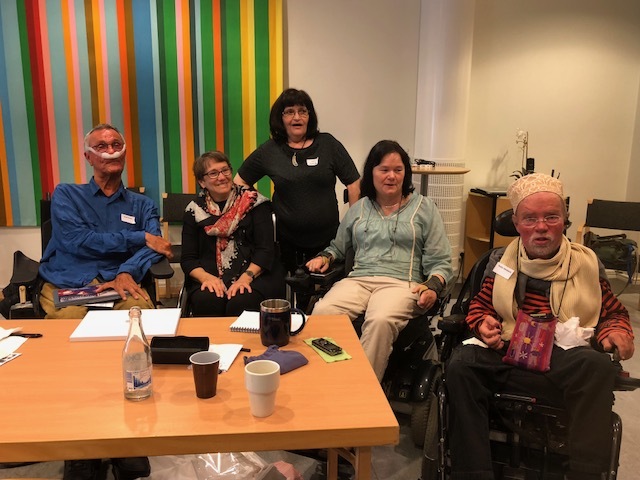 In Norway, disability rights leader Berit Yegheim described how laws protecting all minorities are now more harmonized, focusing on equality, anti-discrimination, and universal design in new buildings. Kapka Panayotova from Bulgaria spoke of the disability community coming together to protest an exhibit of Rodin sculptures, which was presented in an inaccessible museum. The protesters put a facsimile of Rodin’s The Thinker in a wheelchair at the front steps of the museum so that all museum-goers would not miss the fact that people with mobility disabilities could not enjoy the exhibit. Stellan Garde, a lawyer in Sweden, started a fund to support disability rights cases. Some of the funds have already been used to confront schools in five communities where students with dyslexia were refused accommodations. Through media work and legal advocacy, the students were able to fight for their rights. 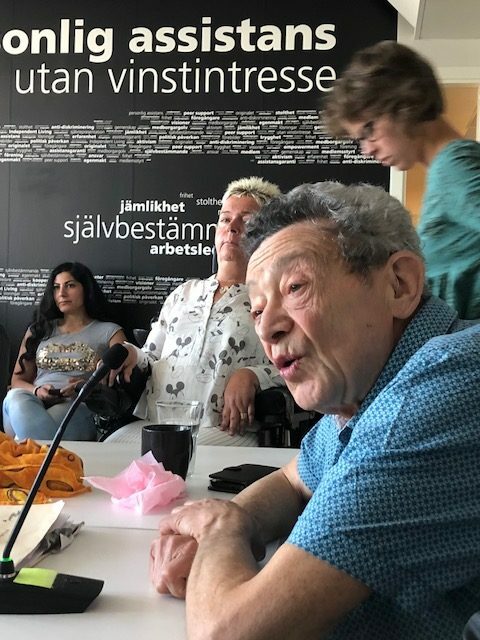 Finally, the conference marked the formal end of Adolf Ratzka’s stellar career as a leader and visionary in the worldwide disability rights movement. Although he will leave the day-to-day operation of the two independent living centers he founded long ago to his capable successor, Jamie Bolling, he will continue to pursue new projects that will help move the disability community to greater levels of equality and human rights.